We are turning over a new Leafe here at WHYTELEAFE FC. And we want YOU to be part of the exciting things that are happening at your local football club. Our support base is growing by the week and at the end of this season we will be installing a brand new 3G ALL WEATHER playing surface - the first Amateur club in Surrey to take this bold step - which will mean more football, more events, greater commercial opportunities with MORE PEOPLE VISITING; creating the vibrant COMMUNITY VENUE we are striving for. It is important to us that our friends in the area can benefit from our plans and contribute to sport locally, so we have carefully put together sympathetic and targeted SPONSORSHIP PACKAGES, to advertise you to the many visitors who will be coming to our new venue. 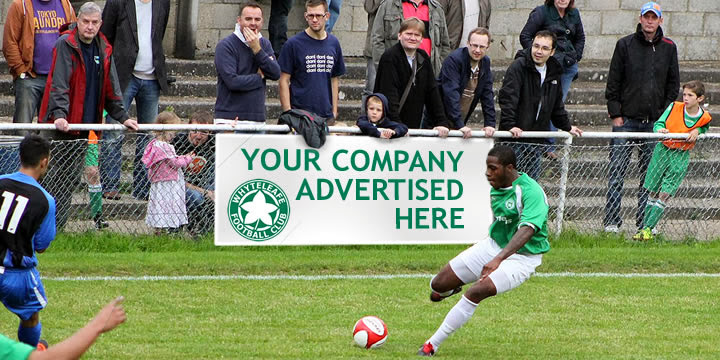 We can give your business exposure through PITCHSIDE HOARDINGS, VENUE NAMING RIGHTS and GRANDSTAND ADVERTISING to MATCHDAY SPONSORSHIP, THIS NEW WEBSITE and THE WEEKLY PROGRAMME to make the best use of a premium site venue. We have put together attractive packages which will bring you business and make us look good at the same time, so please contact Clive Davis, Managing Director on clive.davis@whyteleafefc.co.uk who will happily discuss any ways we can grow a successful partnership together. MYCLUBBETTING: whyteleafe.myclubbetting.co.uk - earning cash for your club, bet online with MyClubBetting using this link. FORMARK SCAFFOLDING: formarkscaffolding.co.uk "Aspiring to Great Heights"
COSY COMFORTS: cosycomforts.com Gift ideas to make a home 15% off code "WLFC"
COSTA DEL SOL: costadelsoltapas.co.uk Best Spanish tapas in Surrey. Vibrant and fun, family-run restaurant. "Paella Parties" delivered to your home/office. On Godstone Road ("Whyteleafe High Street"). RENDEZVOUS: Traditional breakfast - home cooked lunches - fresh roasted coffee - free WIFI. Godstone Road, A22 (just off the Wapses Lodge roundabout) - 01883 626642. HAZLEMERE WINDOWS DOORS AND CONSERVATORIES: hazlemerewindow.co.uk Independent double glazing manufacturers and installers. Freephone 0808 256 4586. NEXUM: nexumsoftware.com Revenue and cashflow optimisation solutions. Sponsors of Whyteleafe's winning Under 13s Kent Youth League side. DRAINEX ENVIRONMENTAL SOLUTIONS LTD: Sponsoring Whyteleafe's winning Under 14s Kent Youth League side. Company run by former Leafe player Dean Howland. Ring 0800 622 6064. BEACON HIRE: Portable Plant Hire based in South Godstone RH9 8LJ ring 01342 892 382. ESSENTIAL NETWORKS LTD: Local company for all network & firewall solutions domestic and commercial. Email: sales@essnet.net. Call 020 8660 2200. Business run by ardent Leafe fan, Tim Deadman. G S MOORE ROOFING CONTRACTORS LIMITED: 58a Shirley Road, Croydon, CR0 7EP. Call 020 8656 0830. STONE EDGE: stone-edge.co.uk. Historic building restoration. HOMECROFT WEALTH: homecroftwealth.co.uk - a lifelong approach to financial planning.